Hyoun Park is the CEO and Founder of Amalgam Insights, an industry analyst firm focused on managing technology at scale for emerging business models. Over the past 20+ years, Park has been at the forefront of trends such as Moneyball, social networking, Bring Your Own Device, the Subscription Economy, and video as the dominant use of Internet bandwidth working with startups, supporting large enterprises, and providing thought leadership. Park has been quoted in USA Today, the Los Angeles Times, Barron’s, and a wide variety of mainstream and technology press sources. 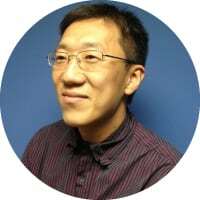 Although he primarily works with enterprise technologies, Park has a soft spot in his heart for new and innovative technology startups and is dedicated to supporting greater gender and cultural diversity in science, technology, engineering, and mathematics. Park has an MBA from Boston University and a bachelor’s degree in Women’s and Gender Studies from Amherst College. HOW DID YOU GET TO BECOME AN EXPERT IN BUSINESS INTELLIGENCE? I actually started as an analytics pro, leveraging my computational chemistry and social surveying background to handle the important job of creating cutting-edge fantasy baseball projections in the mid-90s. When I got into the telecom startup world in the late 90s, I found that the real data challenges at the business level were around basic reporting and data discovery, which pulled me back into databases, data structures, and the applied reporting needed to translate telecom records into invoices and usage reports for tens of thousands of customers. Having had this telco-based introduction to Big Data and Big Reporting back in the day, I’ve been a BI pro since. In the late 2000s, I shifted from IT and operations to my current role as an industry analyst, where I now spend my days studying key BI, data prep, and AutoML (Automated Machine Learning) vendors and share my BI perspectives with the application development focus of my colleague Tom Petrocelli, my learning science colleague Todd Maddox, and my data science platform colleague Lynne Baer. WHAT AREAS OF BUSINESS INTELLIGENCE ARE YOU MOST PASSIONATE ABOUT? The increasing maturity of BI and analytic workflows; the era of the BI report is dying, the era of BI-based insights is now, and the era of BI-based APIs and automation is still emerging. There is still a lot of interesting work left to fully translate BI into business results, which is incredibly exciting. The integration of BI and analytics. This has been a Holy Grail for me for decades. When I started my career, there was SAS and SPSS on one side and Microstrategy, Cognos, and Business Objects on the other and never the twain shall meet. Now? We are starting to see clever integrations of real analytics and statistical tools within BI solutions and both BI and DBA pros are now getting trained in the statistical and algorithmic skills needed to accurately project and forecast portfolios of outcomes based on large quantities of data. WHICH BUSINESS INTELLIGENCE INFLUENCERS INFLUENCE YOU? Howard Dresner, the “Father of Business Intelligence,” has continued to push this industry for decades and continues to remain not just relevant, but cutting-edge in his analysis of the BI market. John Myers of EMA provides deep insights on data warehousing and BI infrastructure and is deeply entertaining in the process! Doug Henschen of Constellation Research, who I read religiously when he was a journalist and now enjoy reading as he digs even deeper as an analyst at one of the top firms in my world. Jen Underwood of Impact Analytix keeps a pulse on the analytics world as close as any analyst I know, whether it comes from her event coverage or hands-on tests of products. Chris Love is both a great champion of Alteryx and Tableau and a fierce competitor! Greg Lewandowski is an expert on the cultural change needed to expand BI environments, an area that I think is still vastly undeserved. On the vendor side, Chief Analytics Officer Colin Zima at Looker and CMO Elissa Fink at Tableau are great examples of evangelists who started out as users. I look at their evangelism for guidance on how others with both user and product management responsibilities speak to the value of products that have changed their markets. And this is just a start. I consume inspiration and knowledge voraciously in my role! OUTSIDE OF BUSINESS INTELLIGENCE WHO ELSE INFLUENCES YOU? Jennifer Doudna and Emmanuelle Charpentier, who invented CRISPR, which will be the key tool for gene editing in the near future. In the future, DNA will serve as data storage, biometric identity, AND core OS that we will enhance. CRISPR will play a role in all three areas. Nate Silver of 538, one of the fathers of statistical journalism who used his baseball analysis as a stepping stone to understand the worlds of politics, economics, and culture. Tawakkol Karmin, who reminds me that one voice can still make a difference in changing the world. Offline, my work is a combination of working with enterprise end users on analytic and technology adoption strategies, working with vendors to improve their messaging to be clearer and less clichéd, and working with investors on doing due diligence for potential investments in software companies. I also keynote and present at IT events in my practice areas, conduct expert witness work as needed, and provide guidance for future-facing technology investments from a general perspective. Key developments in BI will include: the increasing use of data catalogs as a trusted source of BI data to replace the overly-rigid data warehouse, more drag-and-drop analytics to replace both report building and BI imports into applications, integration of predictive analytics and analytic model building into BI solutions to continue closing the gaps between BI and data science, and creating increasing governance for self-service BI so that enterprises can better enforce GDPR and other data privacy initiatives. I work with brands on webinars, podcasts, speaking engagements, thought leadership papers, licensing of my existing vendor landscapes, advisory retainers, and workshops to provide branding, product, and service guidance. I can be reached directly at Hyoun@amalgaminsights.com, Twitter, and my phone number: (415) 754 9686. Any sales or business opportunities should go through Amalgam Insights’ Client Services Director Lisa Lincoln at Lisa@amalgaminsights.com.